This is the first in a series of blogs posts discussing the value of bare metal server provisioning and the economics it can bring to businesses. The server industry is becoming more and more automated. Robots are helping to deploy servers and clouds that are moving away from large racks of blades and hardware managed by teams of administrators to machines that are deployed and managed with little or no human interaction. The way information is delivered as well as improvements in automation technologies are fundamentally changing the central role of IT. 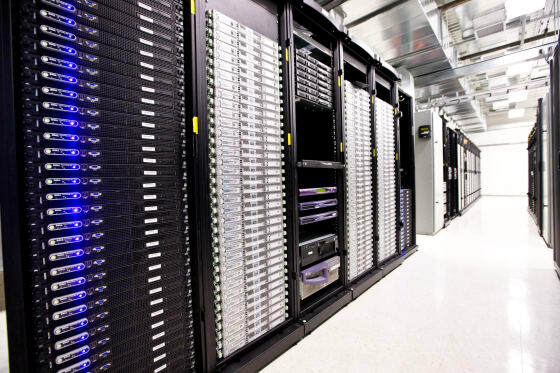 Data centres are becoming smaller, distributed across many environments, and workloads are becoming more consolidated. CIOs realise there are less dependencies on traditional servers and costly infrastructure; however, hardware is not going anywhere. For IT executives, servers will be part of a bigger solution that creates new efficiencies that will make cloud environments quicker and more affordable to deploy. CIOs wishing to run either cloud on premises (private cloud) or as a hybrid with public cloud, need to master both bare metal servers and networking. This has caused a major transition in the data centre. Big Software, IoT (Internet of Things), and Big Data are changing how operators must architect, deploy, and manage servers and networks. The traditional Enterprise scale-up models of delivering monolithic software on a limited number of big machines are being replaced by scale-out solutions that are deployed across many environments on many servers. This shift has forced data centre operators to look for alternative methods of operation that can deliver huge scale while reducing costs. As the pendulum swings, scale-out represents a major shift in how data centres are deployed today. This approach presents a more agile and flexible way to drive value to cloud deployments while reducing overhead and operational costs. Scale-out is driven by a new era of software (web, Hadoop, Mongodb, ELK, NoSQL, etc.) that enables organisations to take advantage of hardware efficiencies whilst leveraging existing or new infrastructure to automate and scale machines and cloud-based workloads across distributed, heterogeneous environments. One of the often overlooked components to scale-out are the tools and techniques for leveraging bare metal servers within the environment. What happens in the next 3-5 years will determine how end-to-end solutions are architected for the next several decades. OpenStack has provided an alternative to public cloud. Containers have brought new efficiencies and functionality over traditional Virtual Machine (VM) models, and service modeling brings new flexibility and agility to both enterprises and service providers, while leveraging existing hardware infrastructure investments to deliver application functionality more effectively. Because each software application has different server demands and resource utilisation, many IT Organisations tend to over-build to compensate for peak-load, or they will over-provision VMs to ensure enough capacity years out. The next generation of hardware uses automated server provisioning to ensure today’s IT Pros no longer have to perform capacity planning five-years out. With the right provisioning tools, they can develop strategies for creating differently configured hardware and cloud archetypes to cover all classes of applications within their current environment and existing IT investments. Effectively making it possible for administrators to make the most of their hardware by having the ability to reprovision systems for the needs of the data centre. For example, a server used for transcoding video 20-minutes ago is now a Kubernetes worker node, later a Hadoop Mapreduce node, and tomorrow something else entirely. These next generation solutions bring new automation and deployment tools, efficiencies, and methods for deploying distributed systems in the cloud. The IT industry is at a pivotal period, transitioning from traditional scale-up models of the past to scale-out architecture of the future where solutions are delivered on disparate clouds, servers, and environments simultaneously. CIOs need to have the flexibility of not ripping and replacing their entire infrastructure to take advantage of the opportunities the cloud offers. This is why new architectures and business models are emerging that will streamline the relationship between servers, software, and the cloud. Over the next few months we will be producing more information about real-world use cases, value propositions, and customer success using Canonical’s bare metal server provisioning solution called MAAS (Metal as a Service). To learn more about bare metal server provisioning, register for our webinar Get Cloud-ready Servers in Minutes with MAAS. If you would like to to learn more about using MAAS in your business, contact us.